and earn 300 Bonus Star Points for FREE. 1. 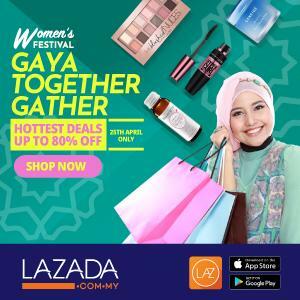 Promotion valid from 4 August - 31 August 2015. 2. 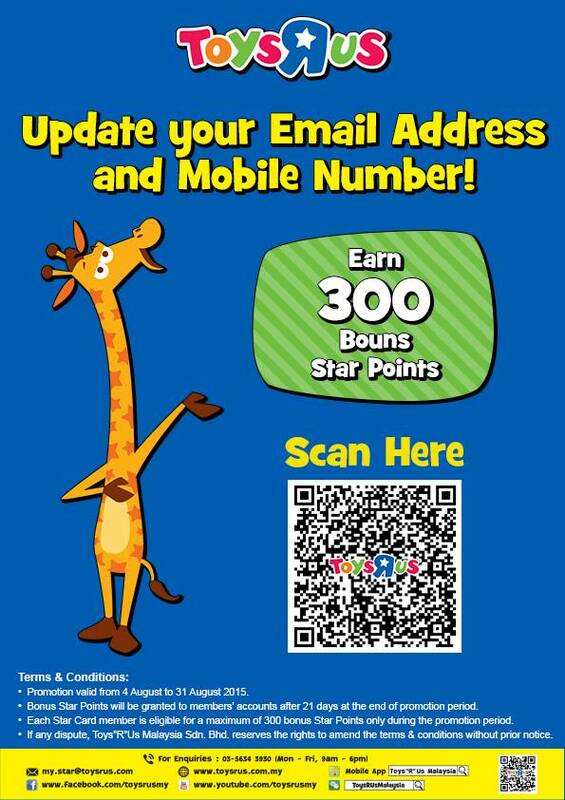 Bonus Star Points will be granted to member's accounts after 21 days at the end of promotion period. 3. 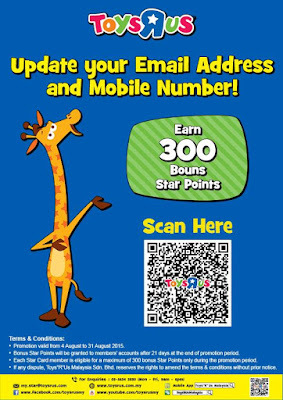 Each Star Card member is eligible for a maximum of 300 bonus Star Points only during the prmotion period. 4. If any dispute,ToysRUs reserves the rights to amend the terms & conditions prior notice.